A tribunal judge has backed a Suffolk council which said it was bankrupted by hundreds of information requests. 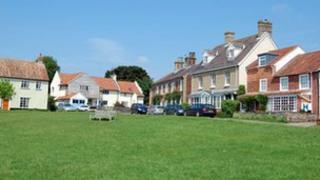 Walberswick Parish Council received the freedom of information requests after falling out with some residents, which led to financial problems and the resignation of all the councillors. One resident, Stephanie Harvey, took her request to a tribunal, but the judge dismissed her appeal. Judge David Farrer called the requests for further information "unjustified". The dispute began in 2010 following disagreements about housing plans in the seaside village. The Information Rights Tribunal, sitting in London, heard the council had received almost 500 requests between December 2009 and November 2011 - the vast majority of which had come from four residents. The council said Ms Harvey's requests had been "part of a concerted assault" which had placed the parish under financial strain. The seven councillors resigned in 2012 and three county councillors agreed to act as temporary appointees until new elections could be held, which have yet to take place. Ms Harvey argued that her request for information was "clear, entirely legitimate and very modest" and she accused the council of "acting in a covert and unaccountable manner". She denied she was part of any organised campaign and the four residents claimed there was an attempt to illegally exclude them from meetings - claims denied by the council. The judge said the "grossly excessive" demands showed the requests were "vexatious". He did not find that Ms Harvey had colluded with others, but said: "She was plainly aware of the flood of requests targeted on the council over a considerable period. "Parish councils are not equipped to handle a torrent of freedom of information requests. To bombard this council with an unending further stream of requests and demands seems an odd way of helping it to improve its service." The judge pleaded for "an end to this unhappy and wasteful affair" and said further information requests were likely to be viewed in a similar way by the tribunal.